Welcome to the colourful world of Toby Tiger, we want kids to be dressed as kids and have fun wearing our playful, bold designs. We are all about colour, great quality and all of our jersey wear is 100% organic (yipee!) and GOTS certified. Toby Tiger was founded in 1998 in the sunny seaside town Brighton. All our clothing is designed by best-selling author and mum-of-two, Zoe Mellor. 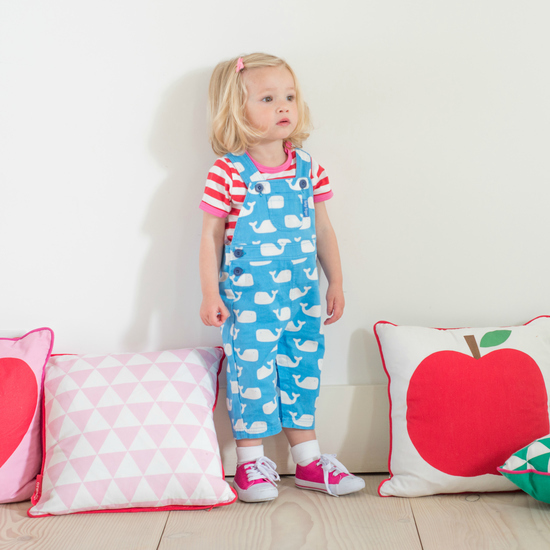 The idea for Toby Tiger came from Zoe wanting her kids to be dressed as kids, in bright, affordableand great quality comfy clothing with simple bold motifs. Our collection is evergrowing and here is a small selection of our most loved products!